Byron W. Lacy was born in Burnet, Texas on March 21, 1950. He is a fourth generation Texan and a fourth generation abductee. Byron’s Great Grandfather, George W. Lacy, came to Texas in the early 1850s. George and two of his business partners donated the granite to build the current Texas state capitol. He also started a dog breed which is now called the Blue Lacy and is the state dog of Texas. Byron received a B.S in English and an M.A. in art, in 1977. Then he received a M.F.A. in Graphic art in 1978. He has exhibited in galleries and Museums throughout the United States. Byron has worked as a Summer Camp Director, Cook, Carpenter, Plumber, Electrician, English and Art teacher, Freelance Artist, Eligibility Specialist for Texas Department of Human Services, and Investigator for Texas Child Protective Services. He has used these skills in researching his own abductions. He also tries to help abductees, especially newbies, gain perspective of and cope with this phenomenon in their lives. He has lectured at the Houston UFO Network about incidents where his life has been saved by aliens. Byron’s first contact with aliens was in 1955, age 5, but his parents did not allow him to talk about the events, and so he did not understand the significance of these events. Strange occurrences over the years led him to believe they were caused by guardian angels. In 2009, everything changed. A Stargate, like in the movie of the same name, but without a metal frame and only 6 foot across, opened up in front of him two different times a week apart at the same busy intersection. A friend said he thought Byron was an abductee. After some hesitation he researched alien abductions. What he found changed his life, and his view of reality, forever. This revelation caused him to reevaluate many strange incidents throughout his life which had no logical explanation other than guardian angels and led to one conscious contact with three grays and a mantis a few months later. This contact permanently changed Byron’s personality. 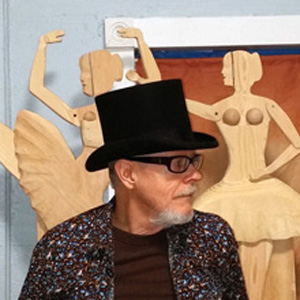 Byron now lives in Nacogdoches, Texas, where he spends his time writing, creating sculptures and paintings, studying psychology, metaphysics, and researching his and others, alien abductions, and trying to help himself and others to gain perspective of and cope with this phenomena in their lives.